Students can get their education on the go this semester, as Blackboard Mobile Learn became available for individual purchase on all mobile networks this week. The app was previously available only to customers of select mobile carriers. 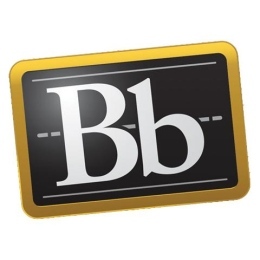 If a student’s school licenses Blackboard Mobile, he or she can use the app for free. But purchasing the app for the 1,700 Youngstown State University students registered as of August to use it on their mobile phones would’ve cost YSU $27,000 annually. “We looked at the total number of students using Blackboard Mobile, and the cost of the app wasn’t justifiable,” said Lloyd Painter, manager of technology customer support and training at YSU. Subsequently, Media and Academic Computing — along with Kenneth Schindler, associate vice president and chief technology officer of information technology services at YSU — decided not to purchase the app for universitywide use. YSU would have been paying approximately $15 per student, with not even 10 percent of the student body using the app. “If nearly every student used the app, then the university might break even on the purchase,” Painter said. Emily Wilson, senior marketing manager for Blackboard Mobile, said the app is now available through a personal license for $1.99 a year or $5.99 for life. “When we looked at the price [for individual purchase], it seemed very reasonable,” Painter said. Schindler said he would reconsider purchasing the app for universitywide use if enough students register for the app in time. “Cost and benefit would still be a major factor,” Schindler said. Nicole Pavlichich, a junior exercise science major, said she’s an avid user of Blackboard Mobile. “I use the Blackboard app every day of my life,” she said. Freshman Jackie Mortimer said she has not yet had to use Blackboard for her classes. Instead, her instructors prefer to use MyYSU groups, which are accessible through the portal. “It provides us with all the material needed for our coursework, just like Blackboard would,” Mortimer said.